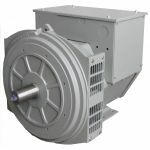 Need a alternator for diesel generator? 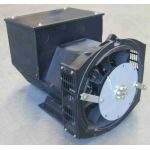 We carry a range of Single and Two bearing alternator head or alternator end for replacement or assembling your own 240v or 415 volt alternator for your generator. Cheap generator end, Generator head and spare parts for diesel and petrol generators, generator end or generator head 415 volt alternators. We carry a range of single and two bearing generator heads, generator end for replacement or assembling your own 240v generator or 415v generator. We carry an alternator also known as a generator head suits up to 50kVA replacement you need for your generator. Quality parts, oils and alternator, buy factory direct. Cheap Generator End, Able Sales Perth, Melbourne and Brisbane. "we purchase a 12kva diesel generator from the great team in Perth the delivery was prompt as per..."